I can’t believe that my husband’s gluten free diet has really been this difficult to make work in our home. I didn’t know that even salad dressings have gluten or dairy in it. That lead me to create a new recipe for his salad dressing, my cilantro lime dressing recipe. I wanted to make a Healthy Cilantro Lime Vinaigrette Dressing so I did. 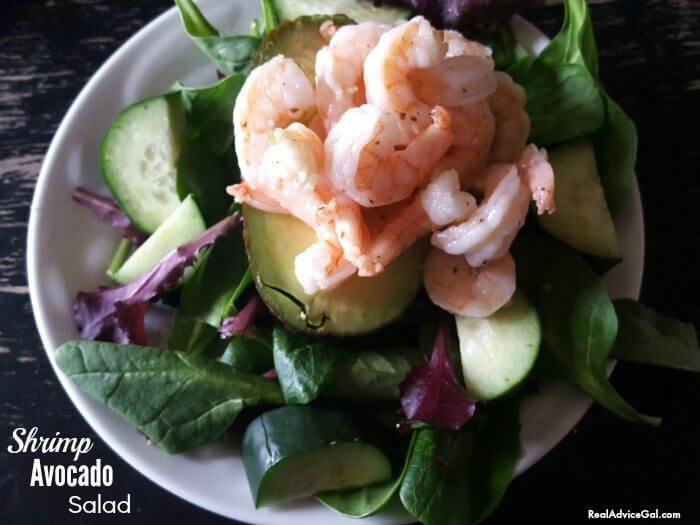 I love this dressing on a normal salad and I use it all the time for my easy shrimp recipe. 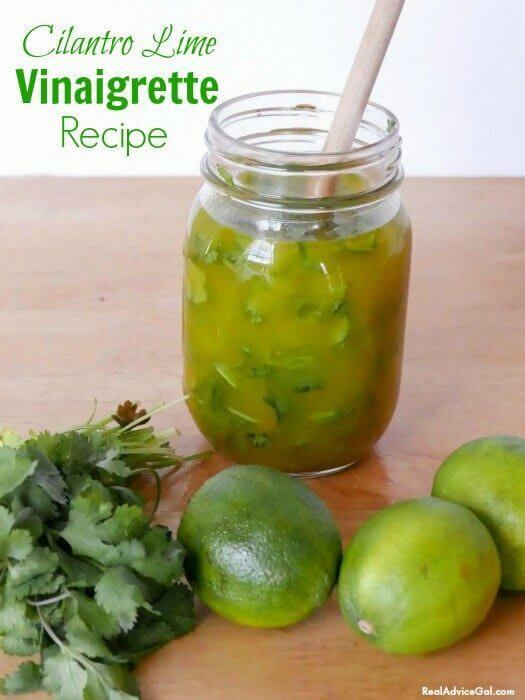 This is how to make a healthy cilantro lime vinaigrette dressing (gluten free dressing). The first thing I do is make sure I have cleaned my cilantro. I also make sure it looks fresh. I try to keep mine in water when it isn’t in use to ensure freshness. Then I chop it until I have reached 1/4 a cup or 4 Tablespoons. I place them in my food processor. I then add the 3/4 cups of olive oil. Next I press my garlic fresh. If you do not have fresh garlic then the diced works fine in the jar. Next add my lime into the food processor. I suggest placing it in the microwave for 30 seconds prior to juicing it. You will need to get out as much juice as you can from the lime. I then use a file to file off some of the peel into my dressing I like the kick of flavor it provides Also do not throw away that lime cut in half and put it in your garbage disposal it helps to deodorize it. Finally, you will place the food processor on until the dressing is well blended. This is a wonderful recipe you can also add 1/2 cup of avocado if you want a creamy dressing. I like mine as described above my husband likes to add a little pepper to his. The best part is this perfect for his gluten-free diet. 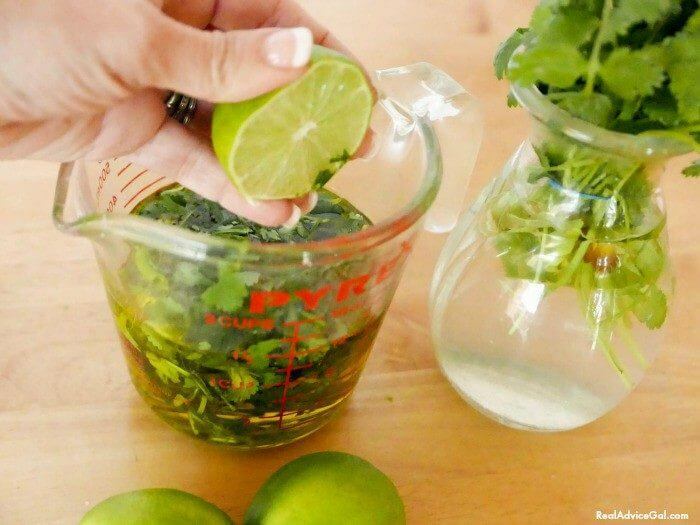 This cilantro lime dressing will keep for two weeks in a mason jar in your refrigerator. It is also great as a fish marinade. I like that it has a clean and refreshing taste. I think it has become a family favorite even though it was really created to help my husband with his gluten free diet. If you need other ideas for more gluten-free recipes you can look at our gluten-free recipe index. 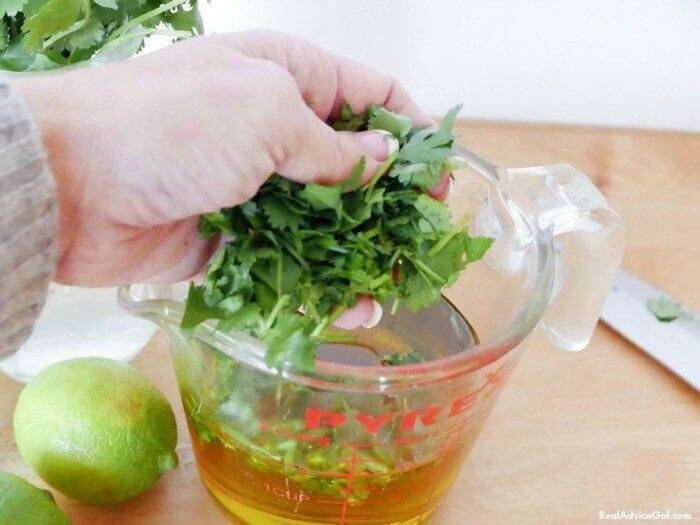 This Cilantro Lime Dressing Recipe is a healthy and easy to make gluten-free, dairy-free salad dressing. Chop it until I have reached ¼ a cup or 4 Tablespoons. Place them in the food processor. 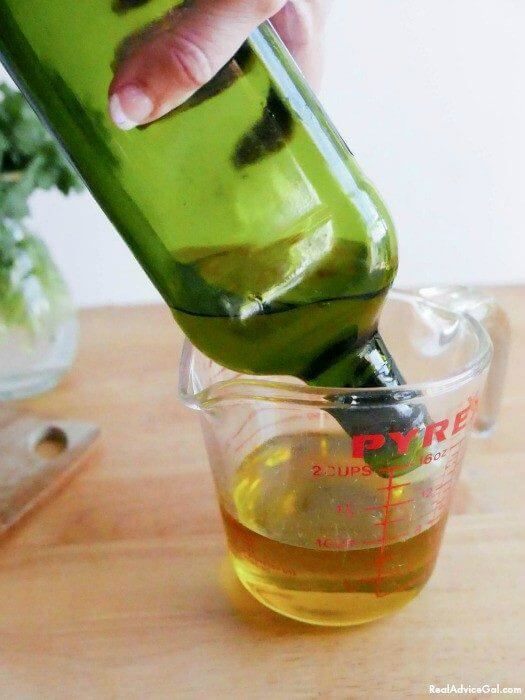 Then add the ¾ cups of olive oil. Next press the garlic fresh. If you do not have fresh garlic then the diced works fine in the jar. Next add lime into the food processor. You can also add ½ cup of avocado if you want a creamy dressing. 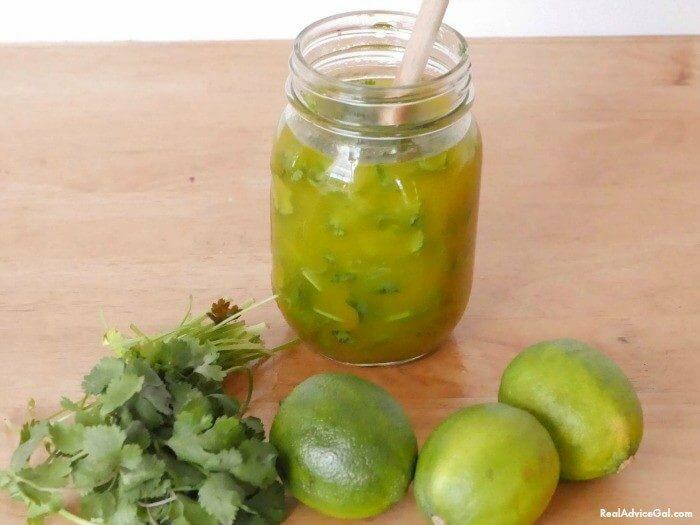 This cilantro lime dressing will keep for two weeks in a mason jar in your refrigerator.